Don’t call it a comeback – What happens when you’re having an incredible year and suddenly you’re in a crash? We talk with Baroudeur, Simon ‘Van der Vader’ about training, the fall and coming back in style. You’ve been very successful racing and happily putting in the miles this year. What made all the difference? Up until last year my riding was sporadic, with no particular goals or routine. At the end of last summer I was beginning to get fit and looking at fellow B’s like Ollie, I could see the benefit of keeping up the training. So, I didn’t want to leave it at that; I kept training hard through the winter to set me up well for this summer. I then lined up a load of goals and started preparing for them. Would you say you were more focused? Yes. I came out of the off-season feeling strong, and said yes to all the things I wanted to achieve. So far what achievement are you most proud about? Getting 16th at the ToC was a great feeling, and comfortably earned me a place in the Gran Fondo Wolrd Championships. They haven’t published the official results, even though I’ve sent a lot of emails. I’ve also enjoyed my first season of crit racing, getting experience and developing my race skills at Hillingdon and the Lee Valley Velopark. Getting in the fast break at the RideLondon was something – I crashed (one chap abandoned with pneumonia) and I had to chase back the group. I was surprised to be the 7th man across the line. A surprise result is always going to make the race sweeter. I’ve entered the Chrono at the ToC. I’ve done Varese in Italy and having looked at the course in Poland, it looks sadly boring in comparison. So no to the racing. I am eyeing up TT’s and triathlons instead. I have a target in my mind – faster than my old uni-rowing mates who encouraged me to get into time trialling. 10 miles in 20.30mins would be a good season result. Currently I think I can achieve low 21’s. 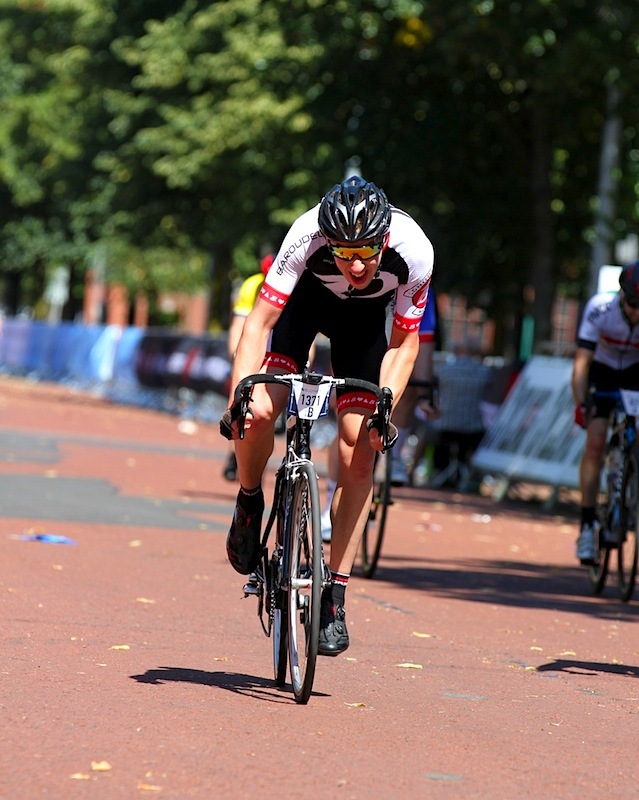 I reckon it’s all about pacing and technique (and getting a spot on a fast course…). With a distinct lack of TTs under my belt so far I’ve been using Richmond Park lap times as benchmarks – I can do a 16.30 on my road bike and knock a minute off that on my TT bike for a 15.30. 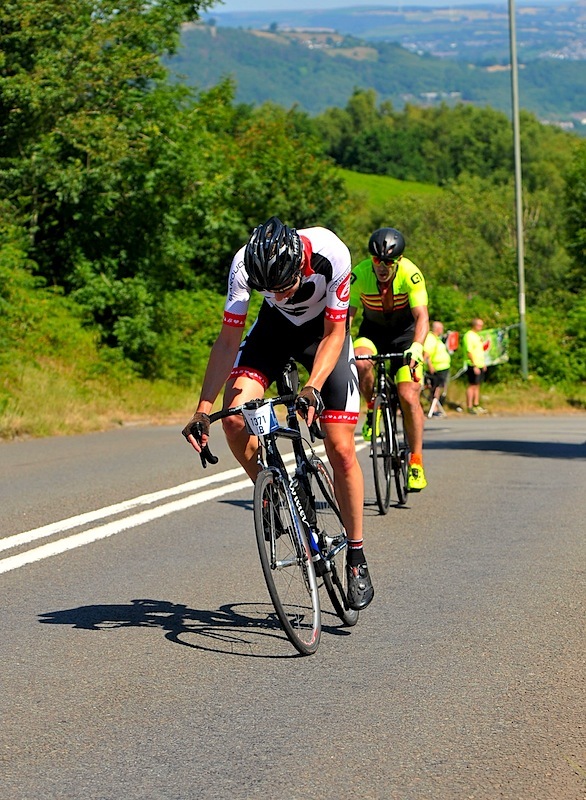 That’s still a long way off Rob Sharland’s solo KOM so there’s a lot of room for improvement. 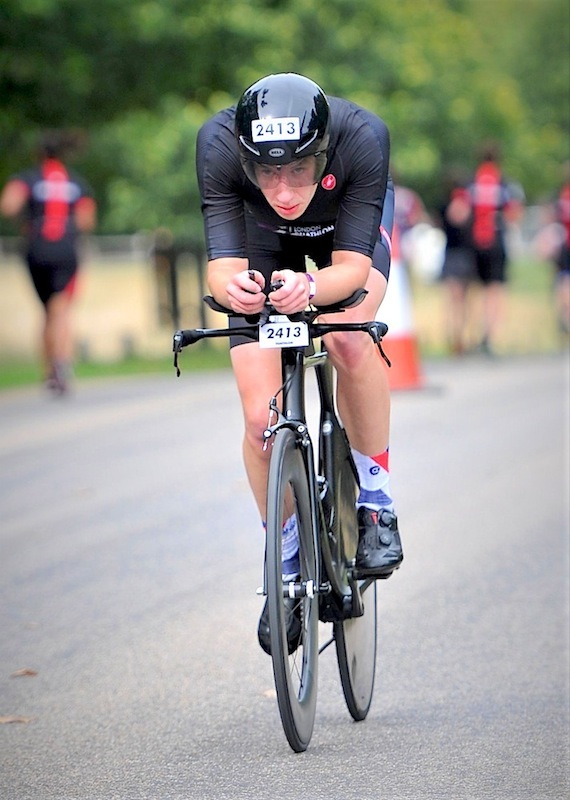 The London Duathlon gave me a chance to try 4 hot laps without traffic – clockwise, a touch slower, but managed to maintain a smidge under a 40kph average to end up 2nd overall on the bike leg. I won my age group (5th overall) which I was chuffed with for my first multi-sport event. So that’ why I’m thinking Tri, but I can’t swim. You can’t swim? What are you going to do about it? Well, I’ve never really tried, so I need to find out! I’ve found a club in Brixton that can do some good coached swimming lessons. Other than for the swimming I have no real desire to be in a Tri club. Running I like to do on my own – It’s not really a sport you can work together – and I’ve got the Baroudeurs to keep me honest on the bike. The great thing about cycling is the wide range of abilities you can have and still enjoy a ride together. Afterwards, we all feel like we got a good workout and did what we wanted to do. I was in a crash at a race and broke my collarbone. There can be a massive range severity – where, how many pieces, where the bones end up – mine ended up in a really bad position. 3 broken pieces – one poking out of my skin and the other down towards my lung. I now have a titanium plate on top with 7 screws. Once the plate was in I could use it straight away, but it’s far from riding a bike the way I want to. It’s just holding everything together. That said, if I hadn’t had the surgery I could have been stuck in bed for 4 to 6 weeks. The NHS were pretty great. What happened after your crash? The crash happened on a Saturday. I got taken to A&E in an ambulance where they said no to surgery, but I stayed the night for observation. I went back on the Wednesday for a clinic session and as soon as the Registrar saw me he gave that knowing look and said, “you need surgery.” I had the operation on the Friday and was home the same day. It will heal. It will scar. The plate will stay in, unless it irritates me. Alarms will go off. I have no idea. Congratulations on a spectacular year, Simon. We wish you a restful Christmas and a speedy recovery for the new year. Chapeau!